The emergency department (ED) is a unique teaching and learning environment. 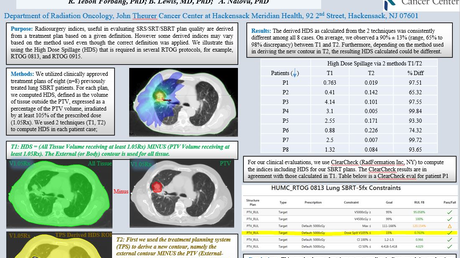 Cognitive load is high, patients are undifferentiated, and timely interventions are critical. PGY3 clerks are expected to follow their own patients from presentation to disposition, and to recognize “red flags” that portend clinical deterioration. Mnemonics have been developed to prompt clerks to present their cases: RAPID  and SNAPPS . These approaches are useful but linear. For ED learning, clerks need to develop a spiral approach to continually re-evaluate their resuscitations, interventions and disposition plans. Simulation can teach the spiral approach by providing specific, standardized and well-structured patient interactions essential to the learning process, but impossible in the ED. The Optimal Challenge Framework speculates that novice learners should start with an easy task or scenario that becomes more challenging as knowledge and skill levels advance. Known as sequential simulation, this may be effective for teaching SPIRAL’s iterative assessments that are done under evolving clinical circumstances. Sequential scenarios that move from low to high acuity may apply to fluid ED clinical encounters. We developed the SPIRAL mnemonic for clerks to use with RAPID and/or SNAPPS (1). The purpose of this proposed study is to investigate attitudes in terms of perceived effectiveness and feasibility of the use of SPIRAL algorithm applied in a simulated setting as a preparatory tool for clinical exposure. 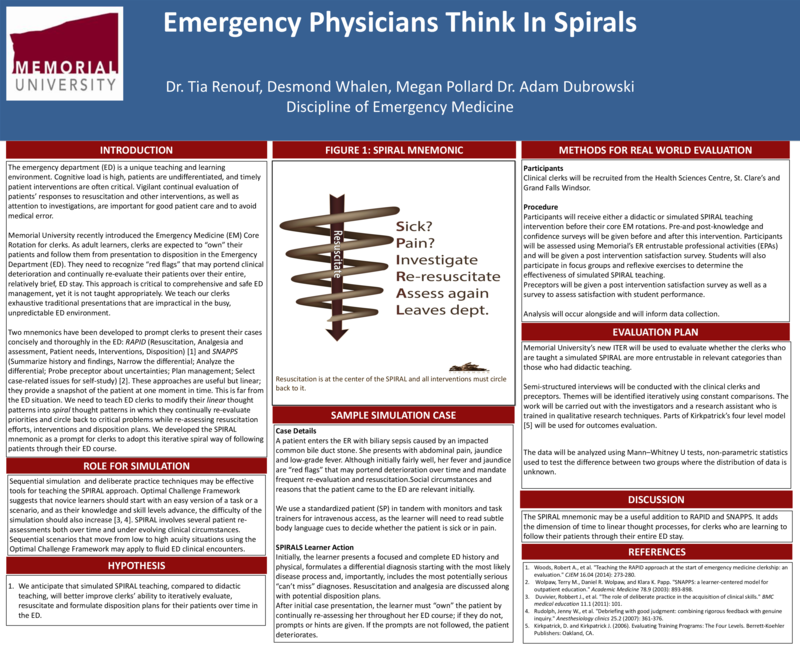 In this mixed methods study, clerks will receive both didactic teaching and sequential SPIRAL scenarios at two different points in time before their EM rotations. Pre-and post intervention surveys will assess knowledge, skills and attitudes, as well as perceived effectiveness and feasibility of the use of SPIRAL algorithm to be used in simulated teaching. If, due to its non-linear nature, SPIRAL is deemed as effective and feasible preparatory tool, we will next test its effectiveness as compared to RAPID and SNAPPS.